Spoiler: Discussion (rant) on Game of Thrones season three finale. Season finales typically follow one of a few basic structures; and generally there is a build to a cliff-hanger or a slow-down to a moment of catharsis. There is merit to either structure (there is merit to any structure if the writing / acting / etc. is done well). Game of Thrones decided to do a gradual deceleration after hammering the audience with what is being described as one of the top 10 most shocking moments on TV (listed by NY Daily News at #2 behind an episode of Maude (in which Bea Arthur's character has an abortion - aired in 1972). The list also includes Downton Abbey and a bunch of other old timey shows before my generation - so maybe not the best reference). Mhysa started strong with the fallout of The Red Wedding. The Stark bannermen camps on fire as The King in the North makes his last ride. However, the conversation between Walder Frey and Roose Bolton was a bit contrived, a bit over-the-top. The commentary is meant to be sarcastic and sharp and demeaning, but it comes across as slightly cartoonish, but at least now "the Boy" has a name. Ramsay has not been portrayed as I had imagined him when I read the books (this is not entirely bad, as I am also happy with TV Ramsay). Part of it is aesthetics (I had pictured him as Michael Wincott from The Crow), but it's also mannerisms and diction. And much like Ygritte has a bit of a tag line ("you know nothing, Jon Snuh"), Theon Greyjoy is given his own. The culmination of the scene upon scene upon scene of torture for Theon has finally lead to his naming - Reek ("my name is reek, it rhymes with..."). We don't get the full spiel, but we get a Reek. Perhaps next season will start with Reek being more Reek-y. When, after sitting in silence as the credits rolled and trying to tell my body it needs to do things like breath, the preview for Mhysa showed we would have a Greyjoy scene in the episode, I had imagined there would be a bridge in Pyke involved. 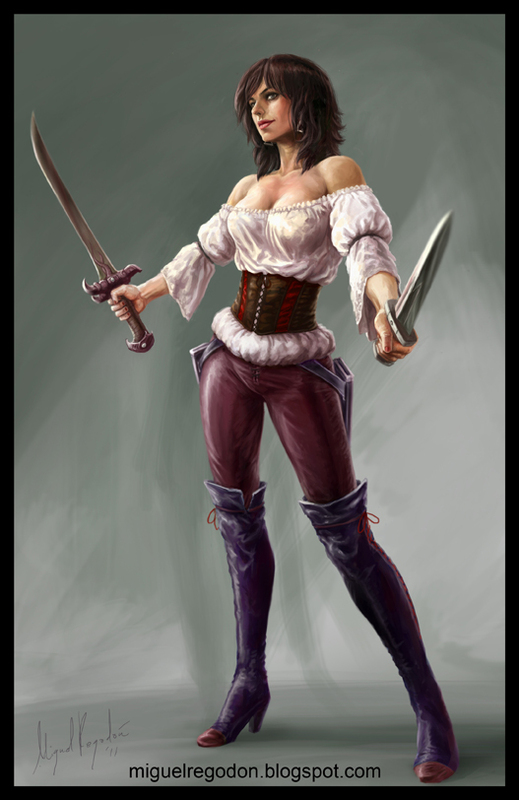 I am fond of Asha Greyjoy, and Yara (her TV show counterpart) is played a little too seriously for my taste. Here is where I want my over-the-topness. The ironborn are pirates. But we do get a new storyline. Yara is taking the toughest men and the fastest ship and she's going to save her little brother. Ok. Pillage away. Maybe the scene is designed as a setup to give the Theon story-line some more weight, but if things progress as written there should be a Queensmoot soon (if you haven't read on in ASoIaF just skip that sentence and don't look into it... slightly spoilery). Back at the Red Keep, Joffrey is being Joffrey and we have a council meeting on the aftermath of the RW. Any scene including a) Tyrion, b) Tywin, or c) Olenna (I'll throw a d) Varys on there, but that's less reliable than the first three) is bound to be witty and wonderful. Having the joint scenes of Tywin and Tyrion have been remarkably humerous. "You just sent the most powerful man in Westeros to bed without his supper." Davos comes on screen and the episode hits the brakes. The dialogue slows, the action ceases. Backstorybackstorybackstory. Sentencing the onion knight to death should elicit something, no? I enjoy Davos' POV in the novels. I feel tired at the Dragonstone scenes now. Things should pick up again when they go North - and that's really all the scene was about. Jon Snow used to be an adventurer like you. Then he took an arrow in the knee. The scene with Ygritte should have been included in his escape last episode. Elsewhere with the Nightswatch, Jon Snow falls off his horse. "Sam?" I can't be the only one who couldn't get whiney Frodo out of his head with that. As a side note the LionEyes edition of Lord of the Rings is fantastic and can be accomplished in two simple steps. Step 1) play Lord of the Rings. Step 2) if Frodo is on screen skip to the next scene. Jaime is back in the Red Keep for some walking and staring (hey, Jaime, long time no see, let me shake your... ohhh...), and Dany has slaves (well, she has no slaves, but she has slaves). I should have more to say. The ending should have felt cathartic. It should have felt like something was being accomplished, and watch out next season because this changes everything (season 1 - dragons, season 2 - white walkers, season 3 - mommy!). But the end was underwhelming and instead of "oh, man is it next March yet?" I feel more "what else is on now?" (not to say I'm not going to start getting excited as casting news and plot rumors and March comes). The problem with the deceleration is that if you hit the brakes too hard, the vehicle stops. I hated that episode. Worst GoT episode for me - from the moronic and usless Varys/Shae and Ygritte/Jon scene through awful ending (how the hell did they not end with resurrection?) to Jaime being in KL already for no reason at all. I was actually ok with leaving Lady Stoneheart out of the ending. I like letting the Red Wedding simmer, letting those who haven't read the books stew in it. But even thinking in terms of a non-reader, the episode was just the filler of organizing the loose ends for next season. If we're talking shoulda/woulda/coulda's, and if we are just throwing the original timeline out the window anyway, I'd prefer at least a minor event (Balon and the bridge?) that would have a quasi-cliffhanger feel. 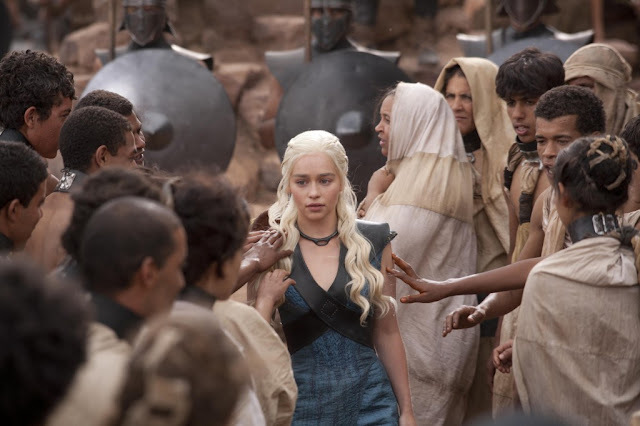 I suppose the campiness of the Mhysa scene didn't help. I had the same Frodo moment. I always so whenever someone says "Sam" all lovingly. Ramsay is not how I pictured him in the book either. I imagined this huge bulky creep with long brown hair and no sense of humor, and show Ramsay is a little more flamboyant. I don't dislike it, but it's very different. I wonder if they'll include his "hunting trips?" 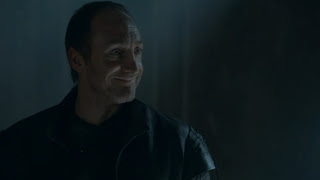 I so want to punch Roose Bolton in that picture you chose. The more I think about this finale, the most disappointed I get as well. I didn't mind it at first, just a few gripes about the story telling, but it gets weaker after another re-watch. I've been trying not to think about it. Let's just look forward to next season and pretend the season ended with episode 9. Not like much was accomplished in the finale anyway. Suppose there's Dexter's series ending season coming up to "look forward to." Haven't been crazy about Dexter since the John Lithgow season (should have ended there) but will see how they end it all.